During the 95th edition of Pitti Immagine Uomo, I’ve been contacted to shoot for the American brand John Varvatos. The project has been very interesting for two reasons: the first, my models were all well known international fashion influencers that I know from years, so we’ve got a very good relationship and you know how much important is to feel comfortable with who you shooting. Secondly, I’ve to admit (and to say this I did not get any cent in my pocket) that I loved the style of the collection I had to shoot since I’m a big rock fan (I even had a band before I moved to Florence). So shooting this crew with this cool outfit and electric guitars and Marshall amps was a joy! There was also another important point for me to look forward to this shooting: was the first one I was going to use the new Fujifilm 50R! Yes, I had the chance to get the camera with the 45mm f/2.8 and the 110mm f/2 for all the duration of Fashion Week in Florence. Look at the amazing sharpness and clarity of the skin in the center of the same! This has been shot at f/2.8 with the 45mm! I already posted some first photos from my first contact with the Fujifilm GFX 50R but that was really a quick look. For the fashion week, I could get more in deep using the camera and have a real idea if the camera was worth a possible future investment (I would have to buy camera + new lens). For sure, one of the question that a Fujifilm X series owner could have is: can you really see the difference in quality from the GFX compared to the X series? I’ve to say that my initial expectation where excessed. I will dig in more about the lens quality in the next post, in this one I want to focus on one aspect that got my attention: the quality of the final jpg. Usually, as an X-Series owner, shooting about 4-5 years with Fujifilm mirrorless camera, I’m aware of the quality of the final jpg. But I always prefer to have the raw file since I’ve also some correction to do on the file and I want to enhance the sharpness of the photo developing the file using Capture One Pro 12, or converting the RAF file in DNG with the Iridient X Converter and then developing it in Lightroom. Well, the jpg from then GFX is perfect. I was amazed that what I need was already there. I set the camera to use the Astia color film simulation and set the Color on “+ 2”. The white balance was perfect, the exposure, and final sharpness as I want. So there was almost no need for me to develop the .RAF file ( I’ve shot .raw+.jpg of course) since the file was perfect. I only add a slightly small tone curve to add a bit of contrast. A comparison between the jpg out of the camera and the raw converted with Capture One Pro 12. I found this way of shooting with the Fujifilm GFX 50R the same as I had this summer while I shot using an old Pentax 67 with the film: when you get the film scanned, you have a jpg final file that is ready to use, ’cause there no need of post-processing. You save a lot of time. I think this is a good exercise for all of us photographers: try to get the correct final shot directly from the camera. We can save a lot of time on the post-processing after the shooting. Just look at the details inside the sunglass reflection: you can see the front LED light pattern! Someone may complain that using a .jpg file could not be enough qualitative for big printing, considering the 50-megapixel resolution. Well, you can always use the Fujifilm X Raw Studio: only with the GFX, you will be able to export a pure .Tiff file without compression and you will have the same settings as shot with the camera on the set. I am curious to know your opinion and if there’s someone else that uses only the final jpg out of the Fujifilm GFX 50s / 50r cameras! I want to add here under a portrait gallery of the fashion influencers I had shot for this campaign. These photos here have been shot with the Fujifilm X-Pro 2 and the 35mm f/1.4. 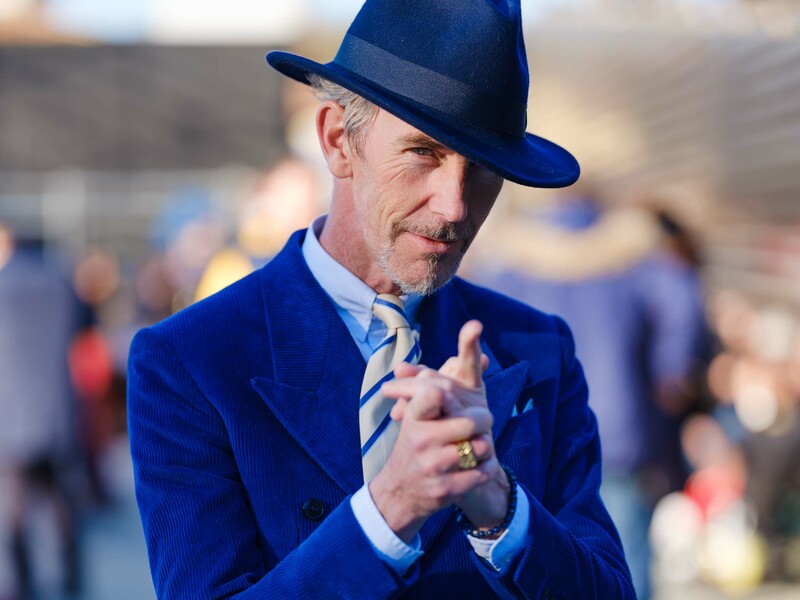 Photo reportage from the 95th edition of Pitti Immagine Uomo in Florence. Fashion Street Style and Portrait photos shot with Fujifilm GFX 50R. A fashion photo session using the new Fujifilm GFX 50R with the 45mm f/2.8. Photo .jpg out of the camera with Astia Color Film Simulation. First contact with the Fujifilm GFX 50R on the Florence streets. My opinion about the Fujifilm medium format camera.